Thumb screws are designed to be tightened and loosened by hand. They come in a variety of head styles, but each includes an easy-grip head which allows for simple "by-hand" installation. The precision thumb screw has finer threads that allow better control than conventional styles. 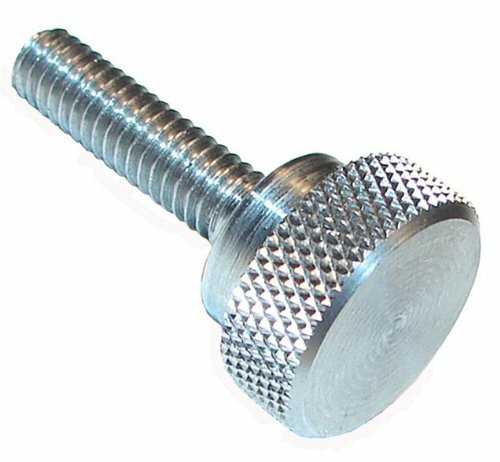 The thumb screw’s head has a knurled surface, which gives a good gripping surface and makes it easy to tighten or loosen fasteners manually. The shoulder provides a good bearing surface and also makes the head easier to grip. Plain stainless steel 303 provides better corrosion resistance than steel. Stainless steels are used for their corrosion resistance, high-temperature strength, scaling resistance, and low-temperature toughness. These properties account for their wide use in practically every industry.